SOUTH WHITLEY — There was a sweet sigh of relief Tuesday evening in the parking lot of Whitko High School. 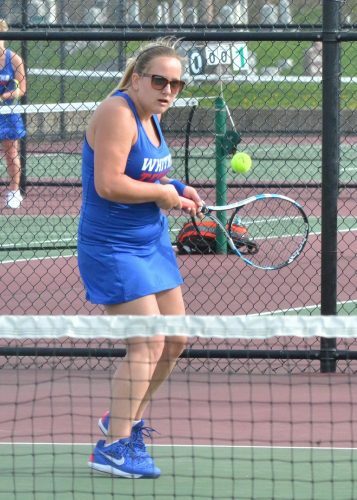 The senior class could finally exhale as it picked up a win over Triton for the first time in its four seasons on the tennis courts for the Wildcats. 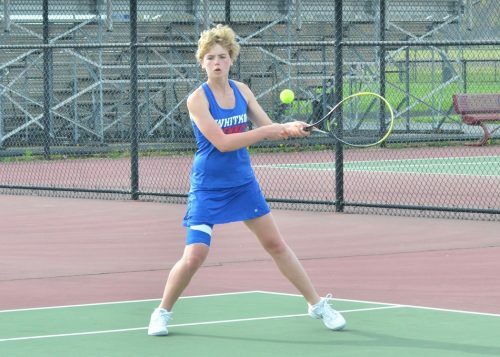 Whitko downed the visiting Trojans 4-1 in an all-around competitive match on a very windy night. Morgan Keirn held down here No. 1 singles spot in style by defeating her friend from the racquet club, Kolbie Mason. 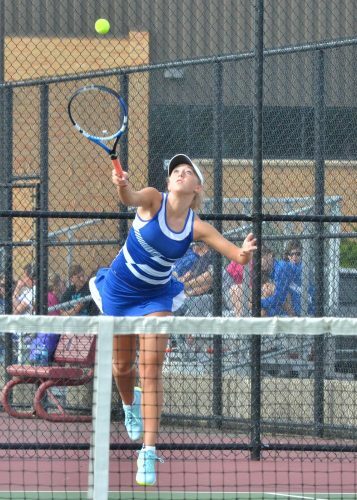 Keirn won 7-5, 6-3 to help close out the Trojans. On the parallel court to Keirn and Mason was Delaney Keirn and Quinn Downing. 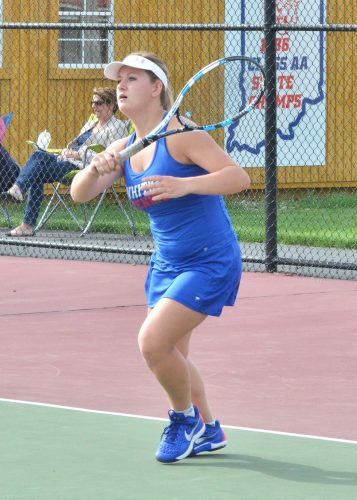 That was another tight match that saw a Keirn girl come out on top as Delaney downed Downing 6-3, 6-4. Jackie Werstler made sure it was a clean sweep on the singles courts for the Wildcats with a 6-4, 6-2 defeat of Sierra Sauer. The other triumph for the home team came on the No. 2 doubles courts with Jenna VanCuren and Manon Sonneville picking up a 6-3, 6-0 win. Triton has taken a step back from the team it has had the past few years, but head coach Al Peckham knows there was more at work Tuesday night than just a down year for his team. Peckham’s No. 1 doubles team of Hannah Wanemacher and Emma Ross remained undefeated on their season with a sweep of Gracie and Jessica Hook. The duo was 20-2 last season and shows no sign of slowing down in 2017. Whitko (7-1) returns to action Wednesday night and puts its 2-0 Three Rivers Conference record on the line against Rochester (5-1) with a 5 p.m. start. Triton (3-2) will travel to LaVille for a match starting at 4:30 p.m.
Whitko’s junior varsity defeated Triton with a full sweep, 5-0. 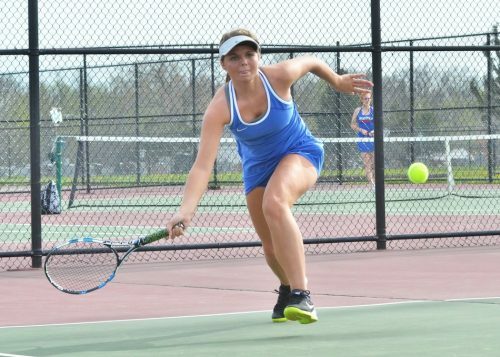 Winning for the Wildcats were Natalie Iholtz, Blair Creamer, Kayla Schipper, and the doubles duo of Lilly Owsley and Mahkinsey Myers.